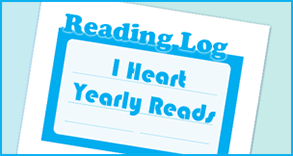 For only a few years, but my story is a rare and unique one. I didn’t choose to be an author—it chose me, since I really didn’t have much choice in the matter! I was inspired to write creatively after sustaining a closed-head injury when rear-ended in my car by a drunk driver traveling 80 to 90 mph. Immediately after the accident, I suffered from memory loss and aphasia, a problem with expressing my speech and communicating with others. When the damage to my brain finally healed, I was left with an overwhelming desire to write stories (acquired savant syndrome). That’s how my first two novels, TRISOMY XXI and ANTITHEUS were spawned. ANTITHEUS, a supernatural horror novel published by World Castle Publishing, will be released on October 16, 2017 in eBook, Paperback, and Hardcover. Which character was your favorite, and why? Sheriff Scott Parker, one of the protagonists in the story, is both a unique character and a brave leader (I named him after my son). Which character was your least favorite, and why? Stan Loomis, one of The Shepherds of God, doesn’t get an opportunity to utter a single word in this tale of terror. ANTITHEUS, a suspenseful tale of the supernatural, is written with a number of surprises, twists, and turns, all of which are interrelated and strategically placed in the storyline. Though fun and challenging, this makes for a more complex write for the author. I’m pretty disciplined, so I write whenever I can, especially since I enjoy this creative outlet so much. I usually write in the evenings during the week, and in the mornings and nights on the weekend. I’ve never suffered from “writer’s block,” so fortunately for me, I’m able to write whenever I want to record my thoughts. A pen and piece of paper always lie receptively on my nightstand, ready and willing to accept any epiphanies that awaken me during the night! Are there things you absolutely need to start writing? My laptop computer. If that isn’t available, then a pen and paper. It took me approximately three months to write ANTITHEUS, with the publishing process lasting another nine months or so. Since I’m a perfectionist, and a little obsessive-compulsive to boot, after I complete a chapter in my novel, I go back through it and make any needed revisions before continuing on to write the next chapter. When I’ve finished a manuscript, I go back to the beginning and re-edit it in its entirety. Only when I’m completely satisfied with my editing job do I submit the entire book to my editor and publisher for the final rounds of professional editing. ANTITHEUS is a standalone supernatural horror novel and not part of a series. In order to fine-tune and better hone your craft, read as many books by different authors as you can. If you truly have a love for writing, don’t allow yourself to get discouraged—and most importantly, never give up! I think reading the following book reviews by professional reviewers will answer that question! “ANTITHEUS by G.A. Minton is a blend of horror and fantasy, a story that brilliantly handles the all-time conflict between good and evil. G.A. Minton knows perfectly well how to give his readers the creeps and goosebumps. 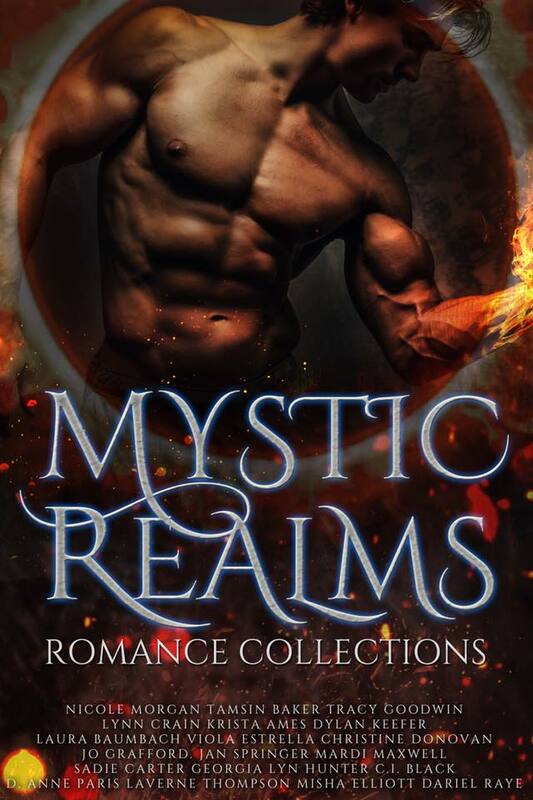 The writing is exceptionally good, highly descriptive, and it captures the pulse of the characters, the wonderful setting that seems to blend beautifully with the theme and the compelling characters. The plot moves like a race and there is no stop or rest for the reader. ANTITHEUS is a masterfully executed story that will entertain fans of horror and stay with them for a long time. Couldn’t put down!” – Christian Sia’s 5-STAR Review from Readers’ Favorite. “Harken back to Stephen King’s now-famous characters who were trapped in a huge hotel with a blizzard raging outside (while the demons raged within), and throw in some of the debates regarding right vs. wrong that Dan Brown focused upon in his now-famous tale, and you will create a mixture from where this incredible book could have been born. To say this is simply one of those good vs. evil battles would really not do this tale justice; it’s too well-written. The author has made sure that every character has that touch of evil. Minton has made sure no stone was left unturned.” Quill says: If you want that great horror story that’s intelligent and frightens you to death, this is the book for you! 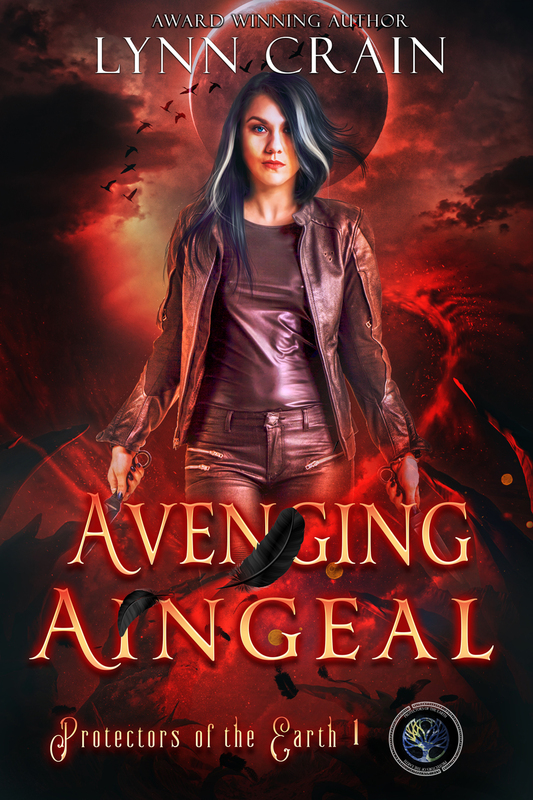 – Amber Lignor from Feathered Quill Book Reviews. “ANTITHEUS by G.A. Minton is part horror, part supernatural thriller–a gripping story that will leave the reader with shivers. I finished this book before realizing I’d even started reading, absorbed in the intense action and the well-crafted, dramatic scenes that touched all sorts of emotions in me. G.A. Minton has a unique signature for descriptive prose and his writing conjures images, scents, and emotions that literally flood the reader’s senses. I also enjoyed how he awakens the sense of fear and urgency in his characters, steeping them in very tight situations. The plot is riveting, imagined with unexpected detours. The drama is intense, the characters believable and rock-solid, and the entire piece is mind-blowing. 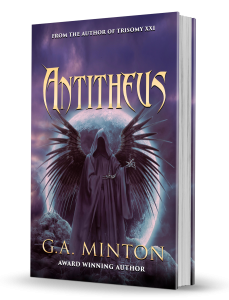 ANTITHEUS is written to read like an irresistible spell for fans of thrillers and realistic tales of horror.” – Readers’ Favorite 5-STAR Review from Romuald Dzemo. “When it comes down to it, I will recommend Antitheus to those looking for a quick and easy read, without having to compromise on quality and style. Minton is very good at what he does, so make sure to lock the doors before you start reading!” – Horror Palace Book Review by Damnetha Jules. ANTITHEUS was also a Finalist in the mystery genre category of the 2016 Royal Palm Literary Awards! Edgar Allan Poe, H.P. Lovecraft, and Mary Shelley. Truth is stranger than fiction, so they say. I’m a believer in that adage, because it happened to me, and it has changed my life! This is how my novels, TRISOMY XXI and ANTITHEUS, came into being. A few years ago, I was rear-ended by a speeding, drunk driver, resulting in my car being totaled and sending me to the hospital emergency room. As a result of this devastating car accident, I suffered a closed-head injury, which left me with memory loss and the inability to effectively communicate with others. After numerous visits to a neurologist and months of taking medication used by patients afflicted with Alzheimer’s Disease, my injured brain slowly began to mend itself. When the damage to my brain finally healed though, I noticed something very different in my thought patterns. Now, I had this overwhelming urge, this compulsive desire to put on paper fascinating stories that had formed de novo in my mind. I can’t explain it, but my thoughts were now primarily focused on writing tales of horror. That’s how TRISOMY XXI and ANTITHEUS were born. 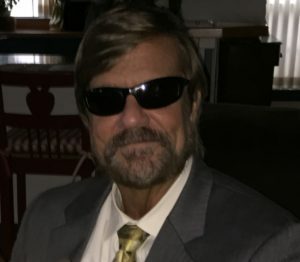 One could only surmise that the damaged neurons in my frontal cortex had rearranged themselves into a different pattern, thereby enhancing the creative elements of my brain (a rare medical condition known as “acquired savant syndrome.” God only knows…stranger things have happened! Currently, I am busy processing the text for another tale of the macabre that will both entertain and horrify its reader. Like TRISOMY XXI and ANTITHEUS, this novel possesses a unique and intriguing plot. Each of my horror stories contain an O. Henry or Rod Serling surprise ending that would baffle even the likes of the great Sherlock Holmes! G.A. Minton has always been a diehard fan of science fiction and horror. Strangely enough, it was only after G.A. was rear-ended by a drunk driver and suffered a closed-head injury that he developed a newfound passion for writing. After numerous visits to a neurologist and months of taking medication used by patients afflicted with Alzheimer’s Disease, his injured brain slowly began to mend itself. When the damage to his brain finally healed, G.A. noticed something very different in his thought patterns. Now, there was an overwhelming urge, a compulsive drive to put on paper fascinating stories that had formed de novo in his mind. That’s how TRISOMY XXI, his first novel and recipient of multiple awards, was born. One could surmise that the damaged neurons in G.A.’s frontal cortex had rearranged themselves into a different pattern, thereby enhancing the creative elements in his brain (a rare medical condition called “acquired savant syndrome”). G.A. is now referred to as “the savant horror writer” by his friends. ANTITHEUS, a supernatural horror novel and recipient of rave reviews, will be released October 16, 2017. Currently, his brain is busy at work, meticulously processing the text for another story of the macabre that will both entertain and horrify its reader. One of G.A.’s trademarks is that his stories contain an O. Henry or Rod Serling surprise ending that would baffle even the likes of the great Sherlock Holmes! G.A. lives in Texas with his wife, a son and daughter, and two Bengal cats named Phinneas and Shamus. This is SUCH a great title for a book! I stopped on this one for the title alone. I feel so shallow! But now I want it. Great interview!